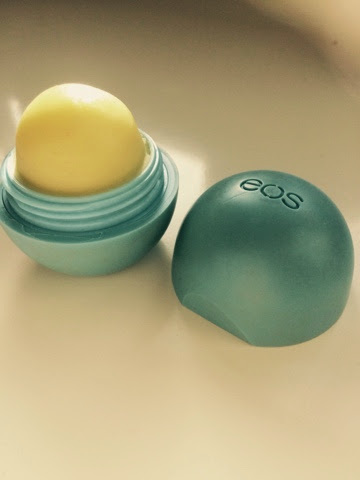 Ok ok so I know I’m a bit late to the band wagon of reviewing my EOS smooth sphere lip balm… Better late than never thought, right?! I rate this lip balm so much! My sister bought it for me in the states so I have been using it for 5 months & can’t get enough of it. It has barely gone down in those 5 months with lots of usage so I’m seriously impressed! I have the Blueberry Acai one & love that it is 95% organic & 100% natural. 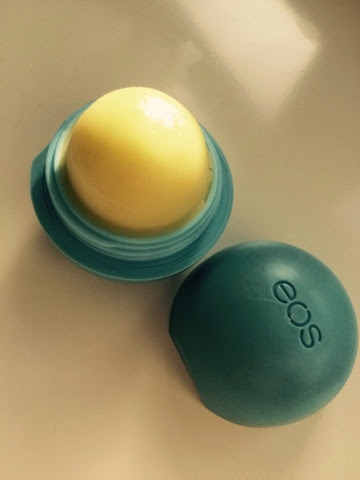 It’s seriously smooth on application, very quirky packaging & leaves my lips feeling soft & nourished. Not to mention it smells scrumptious. They are pricey to buy over here… Around £7 I believe (please let me know if you have found them cheaper anywhere else) & only around $3 in the states which is justttt a little bit annoying! But I am almost certain I will be buying another when this one does eventually runs out! Big fat ‘Rate It’ from me! I love this balm but my brothers girlfriend lives in LA and she buys me them and brings over with her on visits. I can't face paying £7 here for them! Au lucky you! They are seriously gorgeous aren't they but yes £7 is too much! Au thanks Charlotte! Although I'm not sure I need 14!! great for little gifts for people though!